I have two new additions to my sewing machine collection this month. Our other new baby is “Esmeralda.” She is a 327K from about 1962, and she does forward and reverse stitching and zig zag. She is the prettiest shade of sage green, although this photo looks a bit grey-ish. She also has her own little green extension table. I believe this model was marketed in the United States as a “Spartan” brand, but it’s got a Singer badge in the UK. 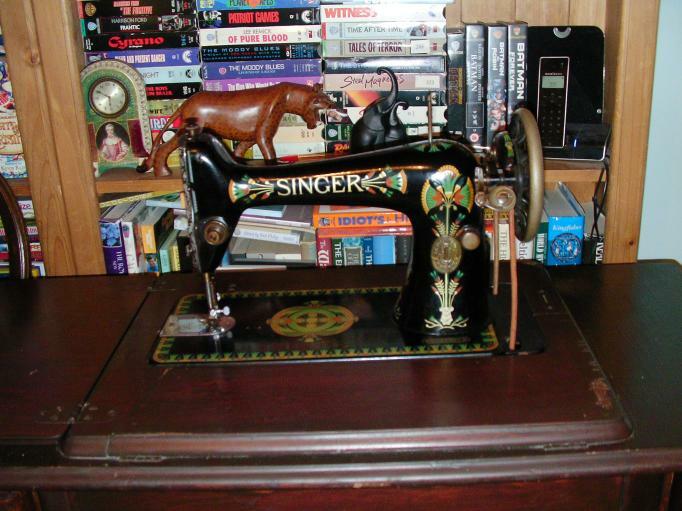 And finally, more sewing machines — but the kind that are much easier to find room for in the sewing room! 😉 I thought this fabric was so cute, I just had to buy a yard. To see how other quilters are doing with their Stash Reports, please visit Judy’s blog. 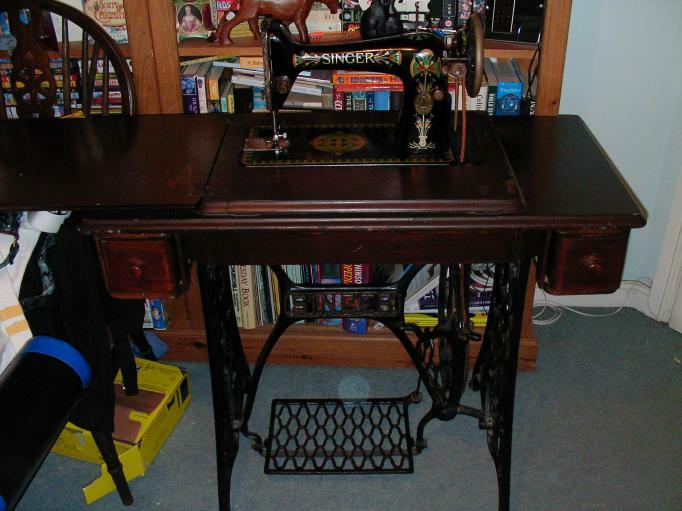 I love your new machines, especially that “Emily” treadle. I would be making room for it, too, LOL! 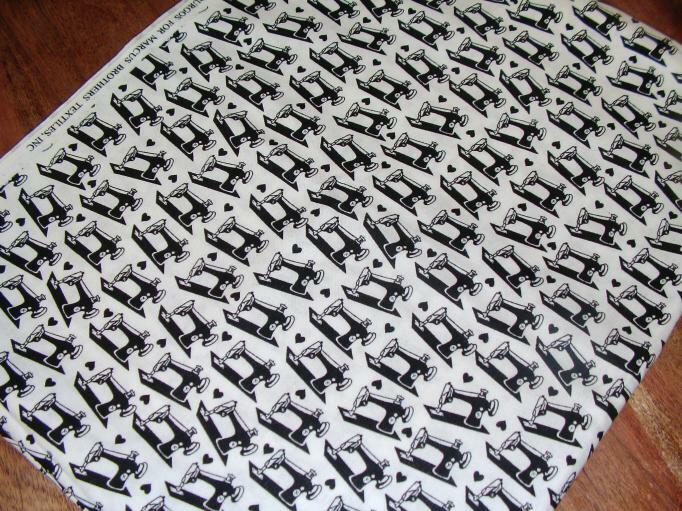 The fabric is really cute, are you planning a machine cover, or-? I am so in love with the Lotus! You lucky person–I have been drooling for one! I have recently acquired a Singer 327K as you describe above. It is beautiful and in great condition. Do you know what the value of this model might be? Any other history about it? I am having trouble researching this one. THANKS! 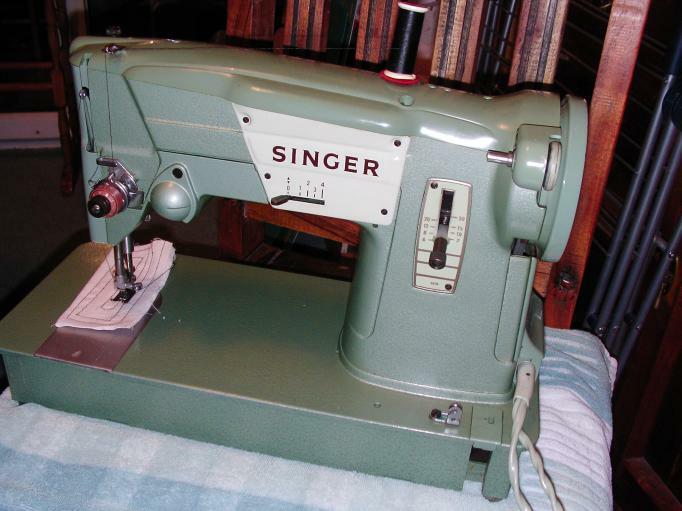 I’m still using an old Singer 5522 model since the seventies and it still works like a charm. I recently saw a Singer Spartan on sale on Ebay with an opening bid of $25.00. Singers have been used by my family for years and will almost certainly remain a favorite. The lotus is awesome and a true vintage sewing machine.